This week we welcome Younggun Kim (@scari_net) as our PyDev of the Week! Younggun has been on the board of directors for the Python Software Foundation and is the founder of PyCon Korea. He has translated several programming books into Korean. You can get the full list on his website. You can also check his Github to see some of the projects he has worked on. Now let’s take a few moments to get to know him better! I’m a Pythonista based in Seoul, Korea and leading engineering department in a video streaming company. I’m also actively involved in our community, especially in the East Asia region. I have served as a board director of the PSF for the 2016/17 term with nomination by Carol Willing. 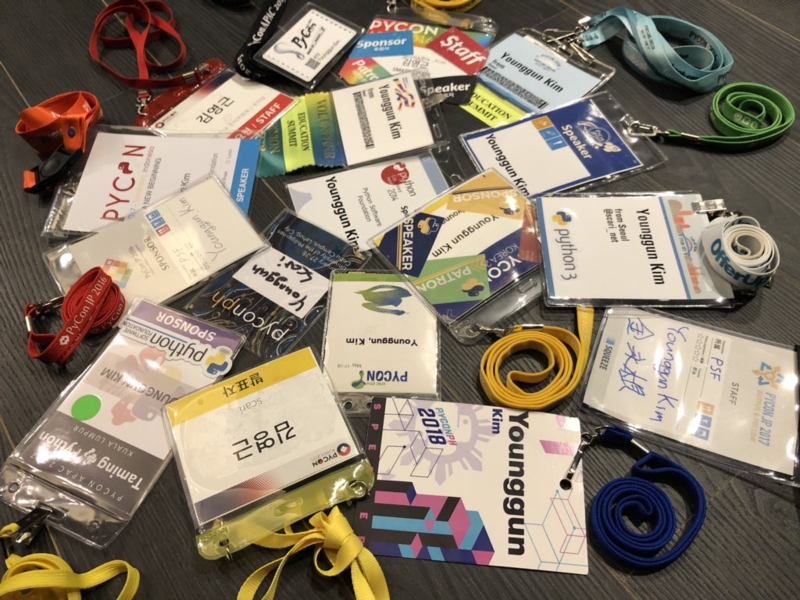 I started PyCon Korea for the first time in 2014 with several local community members here. I travel for 5 or 6 PyCons in a year with a nice PSF conference kit. I’m serving on the PSF Grants working group now. I started to learn how to program when I was 8 years old. I had to learn the Alphabet first prior to learn programming because I was a non English speaking kid and never seen the Alphabet in my 8 years of life. Actually, I learned the Alphabet from keyboard and learned several English words like PRINT, GOTO, RUN, etc. from BASIC before I officially learn English from school. Since then, I was obsessed with learning programing languages. It was no surprise I was interested in Python when I first heard about the new language from an IRC channel in the early 2000s. Hyeshik, the op of the channel was a Python enthusiast and became a CPython committer after several years of contribution. He introduced a lot of interesting things about Python and witnessing history of the fast-paced language was a great pleasure. I know lots of programming languages, from older ones to esoteric ones. C was my favorite one since it’s the language I’ve used the longest. I would say Python is my favorite now. I often compared the C lang as driving a manual transmission car. It’s fun in a way but why bother with a manual car in traffic jams everyday? I don’t code so much nowadays, especially at work. I did contribute to pandas with several commits in the past but recently, I prefer organizing development sprints and enjoy helping others to contribute to open source. When I do code, it’s only when I need to prototype quickly for decision making or automate tedious jobs. I could not say much, but I’m writing a prototype of a system that can detect specific content in a real-time video stream with Python. misspellings. Not a joke. 😉 misspellings is a library to check for misspelled words in source code. Rather than using it myself, I introduce it when giving a talk on open source contributions. What I emphasize in my talk is that, not only a heroic commits solving difficult problem but also reporting a bug, fixing errata, documentation, and donation are also a valuable contribution. I introduce misspellings to get people to start contributing for the first time easily. I believe that once they start, they will continue to try next and no one knows how wonderful it would be in the future. As you may be aware, a peace on the Korean Peninsula is just around the corner. It has been the ardent dream of the Korean people. However, due to the 70 years of division of the Korean peninsula, vast differences between the South and North in lifestyle, wealth, political beliefs, and other matters might make us struggle everyday.